A new variety of redcurrant from East Malling Research Station, quite a breakthrough in research as Redstart is the first variety raised in this country for more years than we care to remember! Redstart was, however, well worth waiting for. 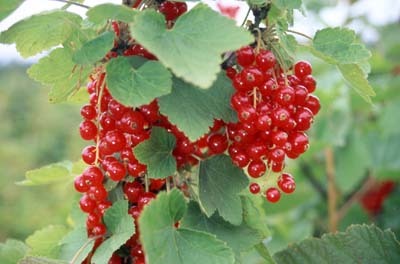 The bright red fruits are produced in long strings and cover the bush in a mass of colour when in full fruit. The yield is very, very heavy and has proved consistent. Heavy trusses of medium sized fruits are produced on a well shaped, upright bush and have an excellent flavour. Redstart is unique in its later cropping period, producing its crop in mid August. If you take your holidays in late July/early August, then this is the variety for you! Redstart is a new variety with a great future, propagated from Ministry certified stock. Highly recommended.